From K.M. Johnson-Weider, the author of the West Pacific Supers series Rising Tide and Victory at Any Cost, comes an entirely new novel set in the Ascension Galaxy, where future tech mixes with ancient magics, some of them rooted in the shadowy recesses of time. Sir Cobran Derithal is still recovering from his war wounds when he is drawn into a web of political intrigue and noble manipulations. Murder and masquerade balls, suspense and swordfighting - Black Throne Conspiracy is a gripping adventure where everyone is maneuvering to advance their own interests and those of their Houses. From concealing his cousin's dalliances with another noble's wife to fighting off a cybernetically enhanced killer and doing a little romancing of his own, it will take all of Cobran's intellect and instincts to keep himself, and those he loves, alive. 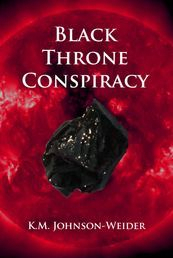 Black Throne Conspiracy is now available in print for $14.95 here or as an ebook for $2.99 here. Imagine a world like our own but with superheroes. Would the superheroes change the world or would the world change the superheroes? West Pacific Supers is the professional superhero team for the city of West Pacific in northern California. It’s hard to know what’s more dangerous for the members of West Pacific Supers: the supervillains out to destroy the city or the superazzi determined to uncover all of their dirty secrets. If juggling heroics and public relations weren’t hard enough, the Season begins with a shocking death. Now new team members must be recruited to counter two major threats: a scientist with an insane plan that threatens California and an enemy from within West Pacific Supers itself. The team will succeed only after taming their massive egos and getting help from unlikely sources. Unfortunately, just like winning fame and fortune, beating the bad guys always comes at a heavy price. West Pacific Supers: Rising Tide is the first book in the world of West Pacific Supers and is now available as an e-book at amazon.com for only $0.99. The print version is available for $11.99 here. Read exclusive excerpts taken from throughout the book here! This illustrated book of children's stories presents the wisdom of Mahayana Buddhism through the accessible and entertaining lens of a modern Buddhist family with two rambunctious elementary school-aged children. Five of the chapters retell traditional stories of the life of the Buddha in a way that makes their lessons relevant to modern life. One contains a simple guided meditation practice based on the teachings of Venerable Thich Nhat Hanh for use with children and one describes the family’s visit to hear a Tibetan Buddhist Rinpoche give a Dharma teaching about bodhicitta. 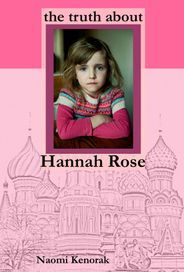 Part of the profits from sales of the book will go to Buddhist charities, including the Tibetan Nuns Project and 84000, Translating the Words of the Buddha. 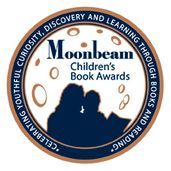 Written by Michelle Johnson-Weider and illustrated by Brian Chen, In the Garden of our Minds and Other Buddhist Stories won a Bronze Medal in the 2013 Moonbeam Children’s Book Awards, category 27: Religion/Spirituality. West Pacific Supers are trying to regroup after a rough Season but a supernatural conflict is brewing in West Pacific between Nike, the newly restored goddess of victory, and the immortal witch Circe, a former member of West Pacific Supers, that could be the greatest threat the team has ever faced. The situation quickly escalates out of control as rivalries and jealousies threaten to tear the team apart. Ultimately, the efforts of an apprentice wizard and the new White Knight power armor pilot may be the deciding factors in a no-holds-barred contest in which each side is looking for victory at any cost. West Pacific Supers: Victory at Any Cost is the second book in the world of West Pacific Supers and is now available as an e-book at amazon.com for only $2.99. The print version is $12.99 and is available here.